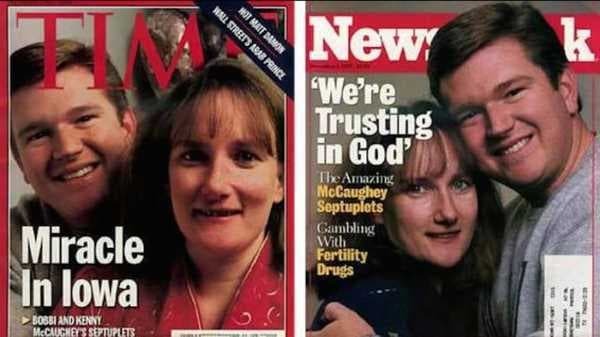 In 1997 after undergoing fertility treatment Kenny and Bobbie McCaughey were ecstatic when they learned they were finally expecting. Little did the McCaughey family know they were about to go down in history— as Bobbi was carrying septuplets. Bobby and Kenny were faced with a tough decision after the initial shock subsided. Despite the great risks involved to both mother and children a decision to either to have all seven babies or perhaps have some of them by choosing selective reduction which posed less risk, had to be made. Both parents arrived at the decision to deliver all seven babies because they wanted to give all their children a chance at life. All of the babies miraculously survived the difficult delivery, they became the world’s first set of surviving septuplets! The septuplets were 2 months premature and delivered via C-Section. The largest baby weighed 3.4 lbs with the smallest baby weighing only 2.5 lbs. The septuplets along with their parents became a worldwide phenomenon, the miraculous birth was reported worldwide by news channels and reporters. 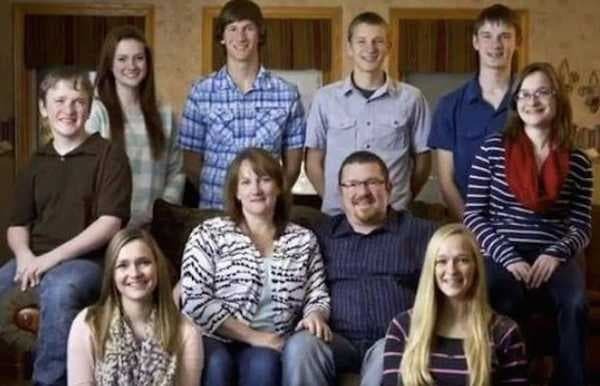 The now grown up miracle septuplets can be seen celebrating their 16th birthday, with their parents below. It’s a wonderful sight to see how the kids have grown up together. The family has been followed by NBC news over the years. Just before their 18th birthday, The Today show did a story on them. Imagine how hard it is to take care of 7 babies, on occasion the family received unwanted media attention, “most people were supportive” explains Bobbi. 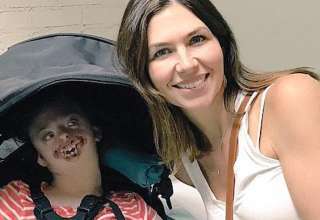 The unique bond between the septuplets is fascinating and is truly wonderful to be a part of an extended family always having a sibling to play with or talk to. One can only imagine that the years flew by for the busy McCaughey family. Of the seven, 6 are going to college and the 7th is joining the military. In May, six of Iowa’s septuplets became high school graduates. In the interview below you can see just how grown up, they’ve become. Amazing to see these famous septuplets all grown up we wish them the very best of luck in the future. Share their story! !